Communications agency Paul Sanders joined ranks w/ Pernod Ricard last year to create this killer Berlin vodka, using city water and German wheat. 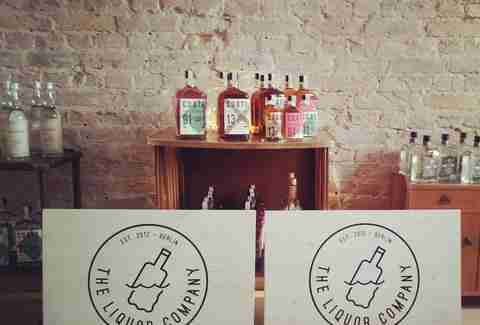 Not only can you tour their Treptow micro-distillery, but the space is also home to a bar for tastings & cocktails. 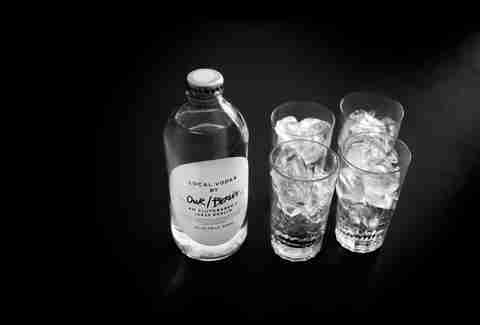 Building on its success, plans include expanding the Our/Vodka brand into other international cities too. The super-cool Michelberger hotel teamed up w/ Preussische Spirituosen Manufaktur to produce these two herbal schnapps labels, using traditional recipes found in the brewery’s 300yr-old catacombs. The 35% Michelberger provides a warm hit of cinnamon, vanilla & clove, while the 45% Michelberger is a a little more bracing & bright, flavored w/ peppermint, fennel & lemon balm. Get a taste at the hotel’s bar or order a bottle from their site. An added perk: both varieties will also be available in select NYC bars come spring 2014. 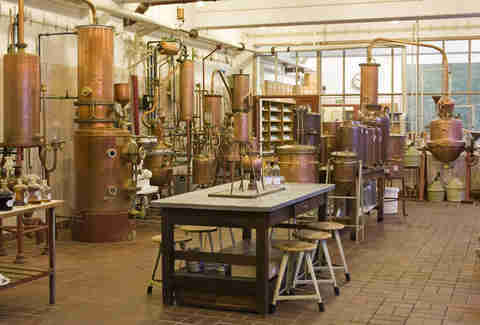 One of the oldest distilleries in Berlin, this Wedding outpost produces a variety of Berlin’s booze, including Adler Gin and Michelberger Booze, as well as their own product line of Prussian spirits, like Berliner Getreidekümmel, a caraway aquavit, and Weddinger Herbal, a traditional German liquor. 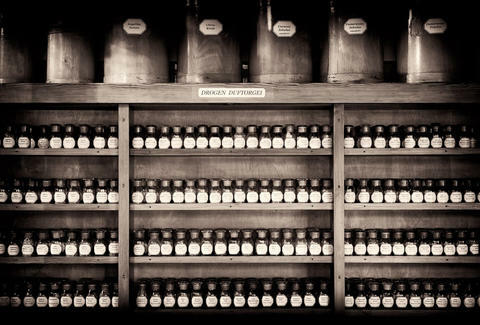 The distillery, which is also part museum, is open for tours, tastings, and includes a shop to pick up a few bottles. Get in touch w/ your surrealist side w/ this herbal liquor, which was literally developed as an art project. Produced at the 100yr-old Schilkin Distillery, this stuff is a mixture of apple, anise, and lemon bringing out a fresh, fruity, paint-thinning flavor -- get a taste at the upcoming Rixdorfer Weihnachtsmarkt or many Neukölln bars. Following a family tradition dating back to the 19th century, Berlin-born Vincent Honrodt started distilling liquor using organic Berlin-sourced ingredients in 2006. Both the Berliner Brandstifter Korn, a schnapps, and dry gin are filtered seven times, meaning they're super smooth, plus the Brandstifter Korn was called out by the NYT as one of Top 15 products from Europe... and Europe makes all kinds of great stuff! 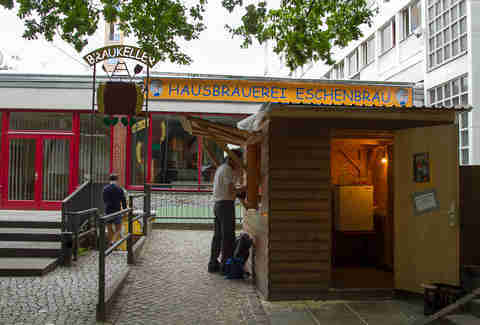 The distillery’s off limits, but the booze is available for tasting at some of Berlin’s better drinkeries, including Tausend Bar. Like any good student, Benjamin Fisher worked as a bartender during his uni days, and like any good bartender, he mixed up some of his own homebrew concoctions. 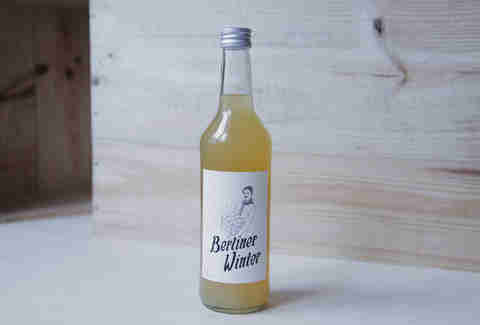 What resulted was Berliner Winter -- named as a nod to the city’s incredibly sh*tty winter -- a mixture of organic apple juice, vodka, and spices served hot to keep you both warm & tipsy enough not to care about the icy breeze. 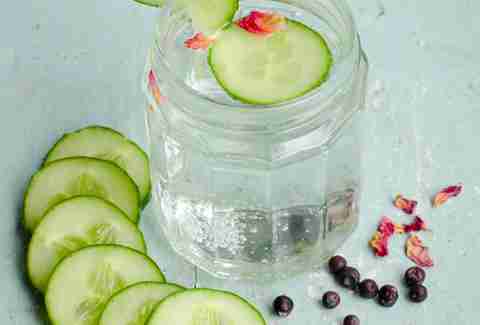 Fisher brings the drink to markets and events throughout the winter & the booze can be found at choice bars & cafés around the city; come summertime he also offers a refreshing warm weather spin. 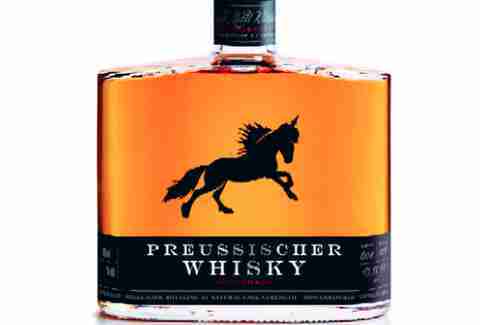 Don’t just head to Brauerei Eschenbräu for their impressive brews (although it’s a damn good reason); the Wedding beer house also distills a number of spirits, including fruit schnapps, brandies, and whiskey, aged in good ol' American oak. 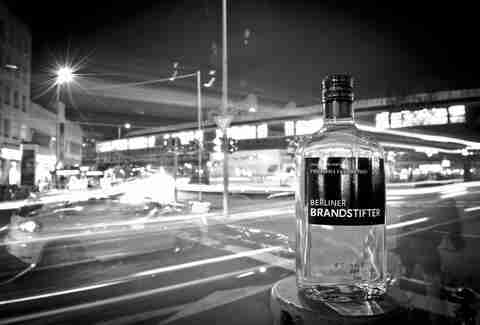 For the perfect combo of shots & brewskis, try the Bierbrand, a brandy made from the dark beer malt. Enjoy it in the sprawling beer garden during warm weather, or head inside the cozy indoor bar in colder climes. 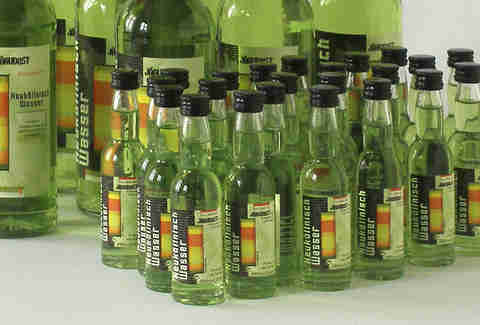 About an hour’s drive outside of Berlin sits the tiny village of Schönermark, home to 160yr-old Preussischer distillery. The small-batch single malt whisky they produce is rare in Germany (most drink schnapps & brandies here) & they do it right, using handcrafted techniques & locally sourced ingredients. You can pick up a bottle at several Berlin liquor stores, including the very well-stocked Wine & Spirits Centre, but if you’re in the mood for a road trip, the distillery’s open for tours and tastings. Another artist-turned-booze-smith, Marcus O’Shea is the brains behind Alchemist Gin, a micro-batch, triple-filtered gin made from local and hand-foraged ingredients. The current batch, Irish Morning, is inspired by artist Jessica Armstrong’s fav childhood treat, raspberry jelly. O’Shea does bi-monthly events at Neukölln’s Agora Collective where you can taste the gin alongside tapas from guest chefs, and he’s also available to create a custom batch. While technically not a Berlin distillery, This Neukölln shop certainly merits a mention, importing strictly small-batch rum, gin & tequila from around the globe, and bringing it to Berlin to hand-bottle and slap one of their kind of awesome labels on it. 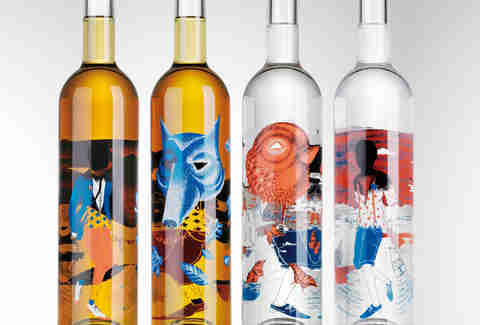 They’ll soon try their hand at distilling w/ the launch their own Berlin booze, a herbal liquor launching in early 2014.